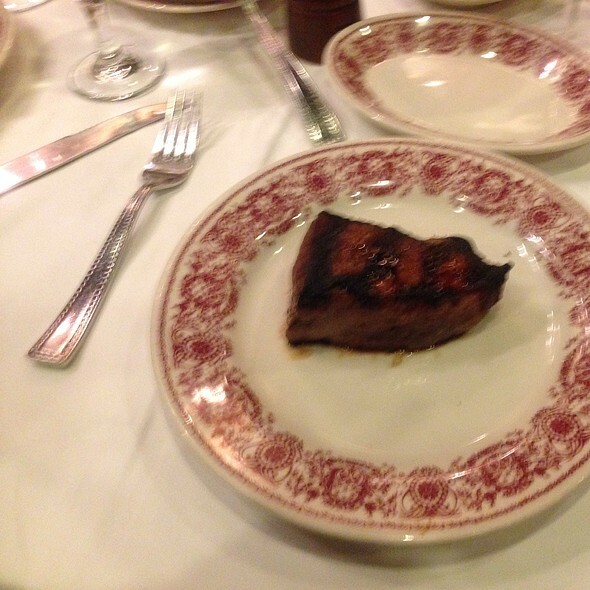 You must make reservations at least 5 minutes in advance of the time at Sparks Steak House. Independent Parking Garage is located across the street. Nearest Transit: Grand Central - 42 St (7, 7X), Grand Central - 42 St (4, 5, 6, 6X), 51 St (4, 6, 6X). Make Your event an exceptional dinning experience by reserving one of our Private Rooms. Corporate events, pharmaceutical dinner presentations, birthdays, anniversaries, rehearsals, weddings, engagements, and bachelor parties or simple get together with accommodations raging from 4 guests all the way up to 600 guests. Sparks Steak House was opened in 1966 by Michael and Pasquale Cetta, hence the logo 'Cetta Brothers Steak Masters'. 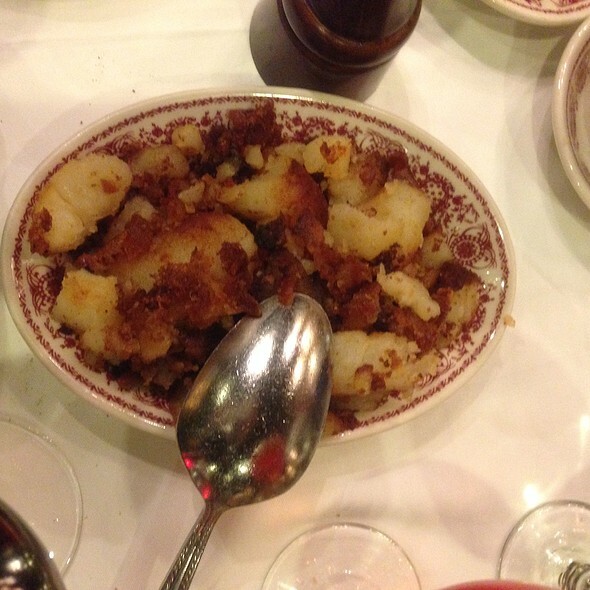 The restaurant is still a family owned and operated business and is located in midtown Manhattan, a five minute walk from Grand Central Station and The United Nations. Join us to celebrate 50 years of business! The restaurant is well known for excellent steaks, seafood, fresh vegetables and satisfying salads. And of course, the huge wine list. We are open on Mother's Day Sunday May 8th, 2016 from 2:00 PM to 10:00 PM. Complimentary Rose for the Lady! 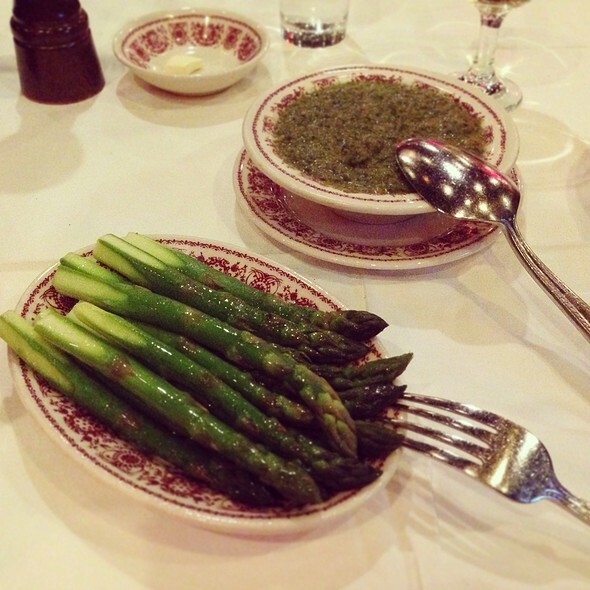 For reservations, please call us at 212.687.4855 or visit our website. 3 - 3 1/2 lbs. 4 - 4 1/2 lbs. 5 - 5 1/2 lbs. Great food, great service & history... a must go! Excellent service and wonderful food and cocktails! 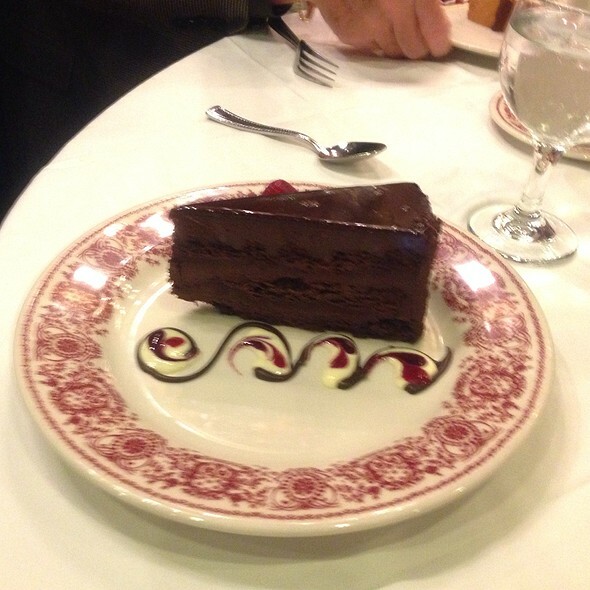 Every time we go to Sparks Steak H, it is lovely food and service. It is a great place to go for a romantic dinner or with your family. The service was outstanding. 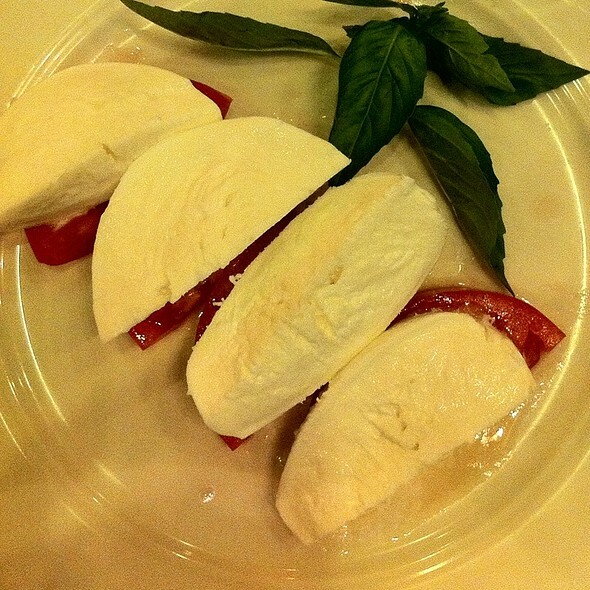 The tomato caprese was the best we have had in NYC. Steaks were great also. Prime sirloin cooked exactly as I wanted, perfect char on the outside, right amount of rare inside. 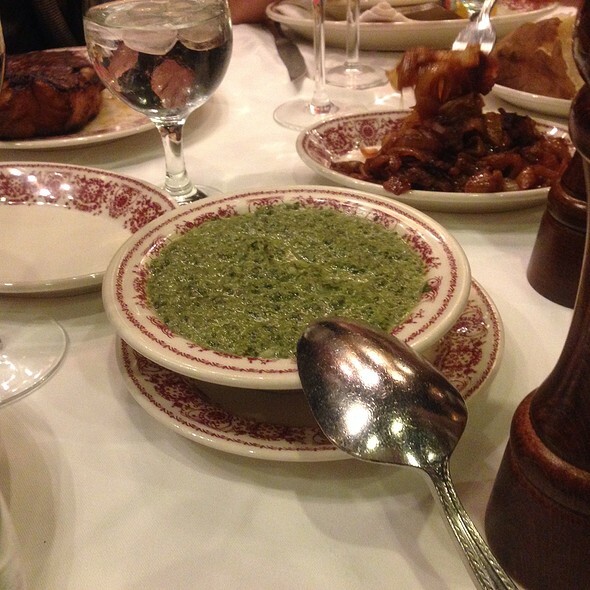 Sides and appetizers felt run of the mill. Somewhat underwhelming experience for a $100+ meal. Not the best time here at Sparks. My NY strip which was supposed to be black and blue came out cold in the middle and my friends medium filet mignon was rare - had to send both back.. For the prices i would expect a little more. Everything was great. First time we've eaten at Sparks in several years, and we will return - soon. One complaint: There was a large family with a baby at the next table. Astonishingly, these people found it ok to change their baby's diaper during dinner - on the table. The waiters were aware, yet nothing was said. They didn't seem to be aware that Sparks has bathrooms...nor did they think of that while changing the baby into sleeping gear. No one needs to see this during dinner. Ever. Anywhere. Why wouldn't staff address this? Is there a limit to customer service? Frequent guest and always a positive visit. Food and service at a high level every time. 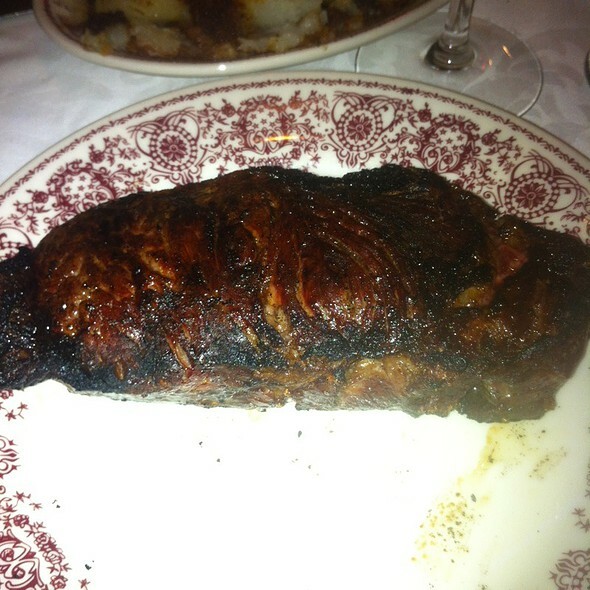 Unequalled NY Steakhouse. It has no serious rivals. It’s classic, iconic NYC! 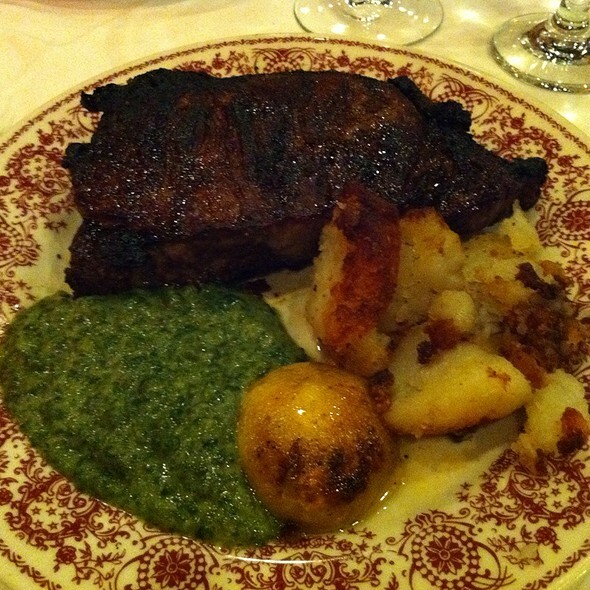 The steak and sides were great and the service was wonderful! I highly recommend having Dinner at Sparks! Amazing steak! 14oz filet was superb! In my humble opinion, this was a mediocre meal and nothing special to write about. I think this is fine for a 'legendary NYC establishment' to cross off your bucket list and get the weird old school service experience (if you're into that sort of thing). Maybe it was the side we were seated on, but the place lacked personality and soul--everything just going thru the motions. Majority of dishes were overcooked and under-seasoned. The desserts were solid. Service spotty, but fine. On our recent trip to NYC with daughters and grand daughters for their first trip (I have been there many times) we wanted to try a classic NYC steakhouse. Having been to pretty much all of them over the years I wanted to go to Sparks - I ALWAYS have a great steak there. It was one of met grand daughters 16th birthday dinner so we put that in our reservations details. Now the meal - fantastic! Everyone got the Prime Sirloin (couple of our party split them), great sides and Shrimp cocktail. Nice bottle of cab at reasonable price, Chimney Rock, and some cocktails to start. Couple of deserts and a complimentary cheesecake for the guest of honor. Service - fantastic from start to finish, they had our table ready on time, our waiter was attentive but not overbearing and really made us feel like a special guest. It was clearly our best meal of the trip. Thank you Sparks! Incredible experience. Amazing steak. Prices were as expected for a restaurant of this caliber. Cant wait to go back. Lucky made our first visit in December unforgettable! What an amazing experience. We flew into NYC for two days and made sure to visit again. This time experiencing the lobster chucked table side while enjoying a delicious steak. What an ambience. We will most definitely return. We were so excited for this famous place but ended up barely being able to hear each other in the restaurant. Our table was in the middle of the dining room and although we leaned in we could barely hear each other. The steak was so good but incredibly big so we should have shared. Our waiter was distracted and not personable at all. We were disappointed and won’t go back. This is absolutely the best steak house in New York City, probably in the world. Portions are huge, food incredibly fine, and service attentive and prompt. Not cheap, so expect to spend plenty of dough. Just as important: a complete list of fish dishes for the poor souls who can't or won't eat meat. 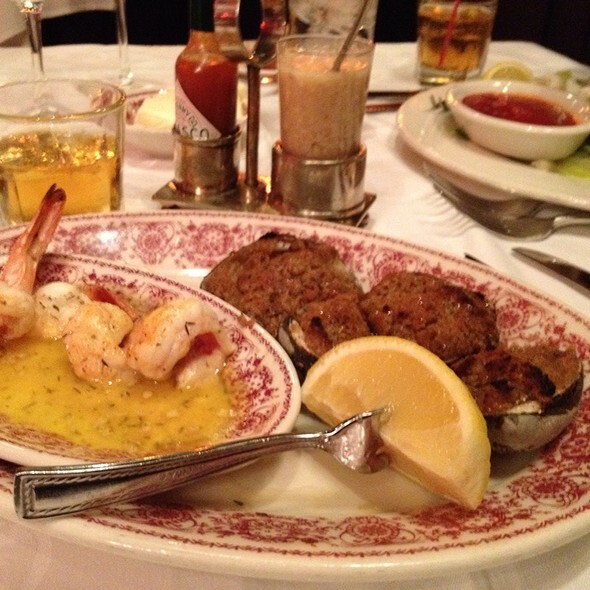 The drinks are a little stingy, but nothing can take away from the phenomenal steaks. Bravo King Sparks! Love this place! Authentic and the waiters have great personalities and do a great job. Classic NYC steak house, food and service are always great, #2 on my list behind Keens and ahead of Gallaghers, but you can't go wrong with any of those 3. Outstanding in every way, as always. Best steakhouse in the country hands-down. Stags Leap Artemis 2016 the perfect pairing for the sirloin. Can’t wait to go back. It’s a monthly thing these days. Food was amazing!!! Definitely worth the trip. However, service was abysmal and the waiter was condescending. Great traditional steak house near the theatre district in Manhattan. Delicious food, attentive waiters, wonderful ambience, perfectly cooked filet mignon / so easy to book on OpenTable / five stars overall! The only issue was that some of the service was spotty. The largest filet I've ever had with excellent flavor. All of the steaks had a beautiful crust on them, great taste. While by no means inexpensive, the amount of meat and quality of meat made the filet a pretty good value. Sides were also good. I particularly liked the hash brown potatoes. This was by far the best filet mignon I had ever eaten. The service was amazing. I would definitely recommend. Our waiter was a big gruff at first but he warmed up to us. We were there with our two very well behaved daughters, ages 9 and 11, on a recent family trip to nyc. The sirloin was delicious. It’s definitely not a family restaurant, more of a power dinner wall st type place. Somewhat disappointed with Sparks... food ok, have had better steaks... service was excellent overall good, not great, evening of dinning - perhaps expectation to high! Even though the restaurant was busy the noise level was at a minimum which made the experience more intimate. The food was well seasoned and cooked to perfection. Our waiter was attentive and had a sense of humor. My husband and I enjoyed ourselves. We would definitely return. On a side note it would be nice to have French fries. Great food, but server was slow. Worst part was the noise, we could not converse freely. The food was very very good! Many landmark restaurants fail to live up to the hype. This is NOT one of the places. Whatever the occasion, just go!